Finally I’ve realised by lamp design and have the file ready to laser cut (… just waiting on RMIT to come through with my laser access, fingers crossed soon!) I thought it would be worth while to post my 3 rapid prototyping attempts, to show what worked and what didn’t work so well. 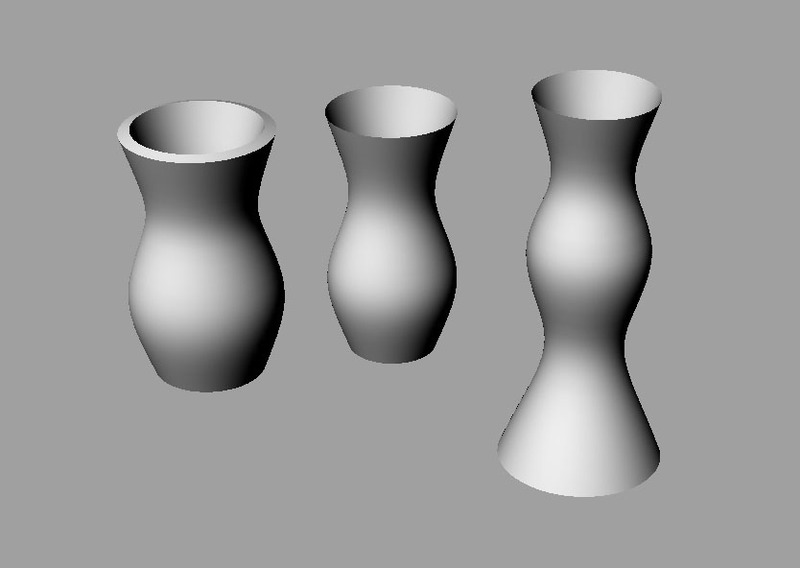 My first attempt at rapid prototyping (shown above) formed some nice back fairly basic shapes. They reminded me a little of pot plant holders. 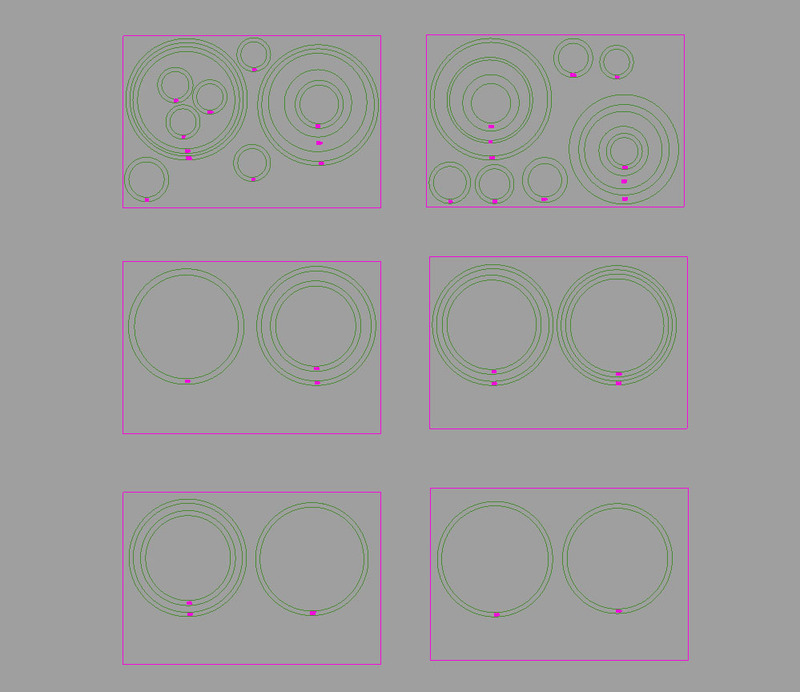 My second prototyping started with two circles of different sizes overlapping. This formed some pretty interesting shapes, the last one I quite like and is quite organic in form. 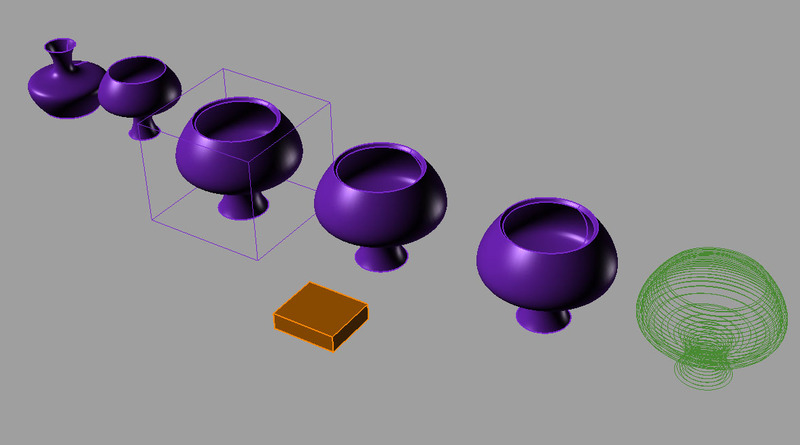 A problem occurred however when I attempted to ‘offset surface’ the last shape (prior to contouring). When I offset the surface it created 4 separate shapes as a result of the shape being quite complex to begin with. It was therefore going to be quite challenging to rib or contour. Finally I came upon my final shape, a lamp shade which reminds me a little of the movie Alladin. I didn’t particularly want my shade to associate with this so I flipped the shape 180 degrees. In the third iteration of this shape I considered the scale of the lamp shade, in particular the hole size of where the LED light would sit. In the fourth iteration I had to create a rectangle and ‘boolean2objects’ to create a flat bottom to my shade (as it was not altogether flat to begin with). Finally I had my shape, which I then contoured at 5mm! I then formed 900 x 600 rectangles (the maximum size for the laser cutter bed) and nestled them to minimize the amount of material I would have to use. Currently just waiting for my laser access!